You feel sick. Your symptoms include a horrible, sinking feeling of hopelessness. You feel as if everything is shattered and torn apart. And the one person you can't get off your mind is the one person you don't want to think about. That gorgeous guy who stole your heart, whom you spent so much time with and cared for so much, doesn't want to be with you anymore. What is the word for this? The disease is heartbreak. The cause: love. No one will ever want to date me again. 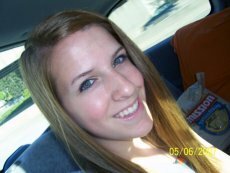 I'm just the ugly girl who got dumped. And so on. These thoughts are natural to think after a breakup, but they're not true! I believe that the first step to getting through a breakup is to simply feel good about you. Try thinking about all the great characteristics you have. Maybe you're student body president, varsity cheer captain, or in the honor society. And even if you're not, think about something great about yourself. Maybe you can drive a stick shift better than anyone you know, or you can write poetry, or even stuff an entire bag of sour skittles in your mouth. Whatever it may be, just think of what makes you unique, and you will began to feel a little better. Still not convinced? Breakups are never easy to get through, of course. It takes time, but filling the emptiness with other things can help so much along the way. Take up a new hobby, go shopping, or hang out with your friends. Eventually you may just find yourself talking to someone new! And as that time goes on you'll find yourself thinking about that guy less and less. Sure it's sad - believe me, I know. But who actually wants to be sad all the time? In the beginning you'll want to cry ... wallow a little, stuff your face full of ice cream, and watch The Notebook 72 times. But after that's all over, and the healing process begins, if you want to be happy, and I mean, really want it, you can make happiness for yourself. Happiness is a journey, not a destination. So stop trying to get to one spot. Be content with who you are. Just live for today and don't grieve over yesterday. It's hard to get over a breakup all by yourself. That's what friends and family are for. Spend some extra time with them. It would be good for you, and I'm sure they wouldn't mind getting to hang out with you more often. 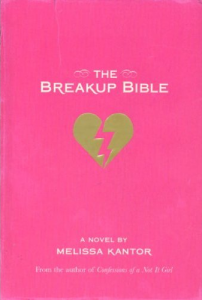 But if you need a bit more than that, consider The Breakup Bible, by Melissa Kantor. She's an awesome writer who also wrote Confessions of a Not It Girl, and If I Have a Wicked Stepmother, Where's My Prince? Simply try to focus on moving forward. If heartbreak is a disease, you may just find yourself cured. You two weren't a match anyway, and that's ok. From every relationship take something good you learned to make you a better person. So cherish yesterday, live for today, and dream for tomorrow.